Tāne Feary is an eco-activist who lives on Waiheke Island, Tāmaki Makarau / Auckland. This article will be published in Fightback’s upcoming magazine issue on Urban Revolution and the Right to the City. To subscribe to Fightback’s magazine, click here. This article introduces the Transition Towns movement and looks at eco-villages, exploring some possibilities for the future. The focus is on cities, and our increasingly urban existence. The Transition Towns concept originated in Totnes, UK. Since the first project in 2006, Transition Initiatives have spread to multiple countries and countless regions around the world: Oamaru, Grey Lynn, Sydney, United States and the list goes on. These projects can be carried out on a small or large scale, and include villages, regions, islands, towns or cities. Transition Towns are set up to address two challenges: peak oil and climate change. Modern Industrial capitalism uses vast amounts of fossil fuels; oil is the lifeblood of the modern industrial economy. 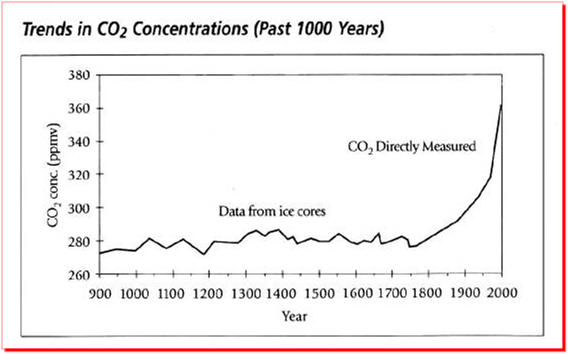 Peak oil is not new. But it is not an issue that gets a lot of attention. NZ had oil shocks in the 70s, when we had carless days; but we are not prepared for a future of carless cities. 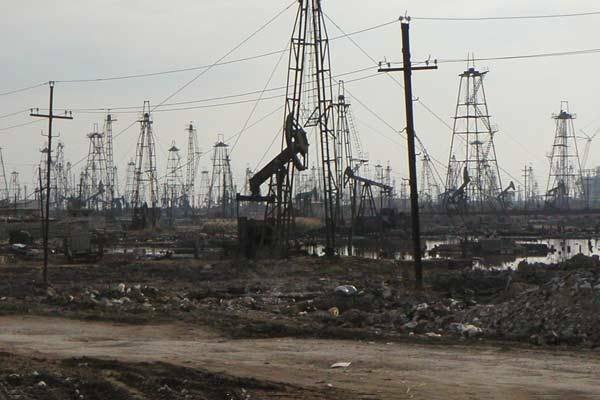 What would happen if the oil stopped flowing? No food in supermarkets, no cars, no flights. No gas to cook dinner. Power? Shops? Airports? Petrol stations? What else? Transition Towns has been working on the local scale. But work is also being done on a larger scale – for example, Sweden has declared it will be a fossil fuel-free nation. Fossil fuel-free cities are also being discussed. The Transition Towns concept may not have translated to places like China, but other approaches are being tried. Ecological civilization is a term that is not new, but is now getting backing at senior levels. Growth is no longer the only mantra in China. Eco-cities are also being developed in China, such as Tianjin Eco-city. 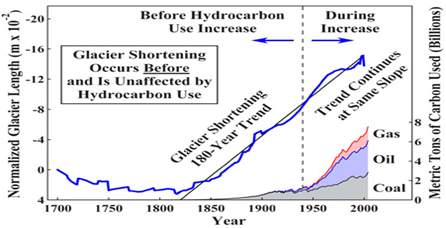 Peak oil is an issue for cities. Smog is an issue. Food security is an issue. Most cities import a lot of food. Clean water is a must. Extracting fossil fuels can be very destructive, and then there is the issue of waste. Put simply, cities face a lot of challenges. Some cities have been in decline. Detroit is not unique. More extraction. More burning of fossil fuels. More mines. More Standing Rocks, more vulnerable island nations. More of the same will yield more of the same results. What does a different approach look like? Transition Towns explores what a transition away from fossil fuels looks like. Permaculture is another concept that offers answers. Permaculture is a term that was devised and developed by Bill Mollison and David Holmgren. (See the website link at the bottom of the article to learn more about permaculture in NZ). Permaculture doesn’t need to be a rural activity. Urban farming is a modern form of permaculture. In New Zealand, a village was designed with transition values in mind. Will it work? This particular village in the South Island has so far fallen into debt and has been highly problematic. Many of the commune projects from the “back to the land” phase some people went through in NZ no longer exist. Many people in NZ, however, maintain connections to the land. Community gardens are thriving in NZ. Setting them up is easy, but keeping them going requires another set of skills. “Back to the land” was followed by back to the city. People shift to the cities to find jobs. This is not unique to NZ. Perhaps what was lacking most in many of these recent and not so recent experiments was community. Many people don’t have farming backgrounds. Other skills were also lacking. That explains some of the mistakes made when people attempted to set up communities in the countryside. Isolation was also an issue. This can be avoided by placing farms in cities. Golf courses could be put to other uses. Lawns or grass verges can be replaced with productive gardens. Placing food production closer to dense populations reduces travel time. Gardens in schools is another way permaculture can be applied in cities. Roof top gardens, vertical gardens… a design rethink opens up vast possibilities. Wellington City has a small productive urban farm placed right next door to its hospital. Cities are growing. Emissions are growing. More people, more cars. More smog, more pollution. Some blame people, population, migration. I don’t see immigration as a problem. The struggle for a just transition away from fossil fuels includes the struggle against borders which lock people into appalling conditions – increasingly, as a result of climate change. As climate change worsens, migration will increase. If we are to live in cities in large numbers, we need to learn to live well. Cities need to create less waste and generate more energy. Tomorrows cities don’t have to use vast amounts of resources and fill up endless landfills, exploiting and despoiling. Cities don’t have to be coal powered. The eco-city approach offers ways to reduce energy use and create more closed systems inside the cities. When this happens, the city is not a drain on the countryside or a health hazard for its residents. In New Zealand, a lot of food is imported and exported. New Zealand traditionally had a lot of farms and exported a lot of dairy products. It still does. This is being done by irrigation and intensive farming. Factory farming. The current mantra is: The more stock the better. Large volumes, large profits. The downside is large volumes of effluent. Of course, our cities also produce large volumes of effluent. On the small scale, composting is a solution when it comes to food waste. Large scale solutions also need to exist, since large scale problems exist. The conservative government of New Zealand has been trying to push a model that is focused on short term profits: cut down forests, export logs. Blow up mountains, export coal. Pollute rivers, export milk powder. Then there is the motorway mania. Air quality suffers, water quality suffers, and over time – quality of life too. Some cities are starting to address the issue of food security. Urban farming and community gardening is taking off. Old vacant parking lots of unused land can be put to new uses. Detroit, the poster city for urban decline, is also the poster city for urban farming. Mass migration to the countryside is not on the cards. Urban renewal is a more realistic response to challenges facing urban populations. Eco-villages don’t have to be located far from population clusters. What would an eco-village in the heart of a city look like? Closer to home lessons can also be learned from Christchurch Garden City. A city with a thriving grassroots spirit; a city with a future. An ecocentric approach as opposed to a capitalistic development model is one that explores permaculture land management and design, Eco-city urbanism and expands on the Transition Towns concept. Can cities have fresh air? Quiet spaces, clean water and clean air? What kind of city do you want to live in? Submitted to Fightback by Maria Ramos. Although the seriousness of global warming and climate change has been made clear through the work of scientists and environmental advocates, it’s sometimes difficult to present this message in a way that resonates with the general public. As long as modern practices of pollution and resource extraction continue unchecked, ecological harm will almost certainly get worse. The documentary film This Changes Everything aims to alert viewers to the environmental hazards inherent in our economic system and ways of going about addressing the problem. Based upon Naomi Klein’s 2014 book of the same name, the film was directed by her husband, Avi Lewis. Instead of focusing upon one or two specific effects of corporate disregard for our natural surroundings – say, a decline in polar bear populations or increased illnesses caused by polluted water – Klein and Lewis indict our entire neoliberal capitalist system as a whole. An ethos of viewing the earth as something to be ruthlessly exploited has caused unsustainable growth and ecological degradation. Most of the negative consequences hit hardest in poor communities, whose residents lack the financial resources and political clout to protect their rights through normal channels. 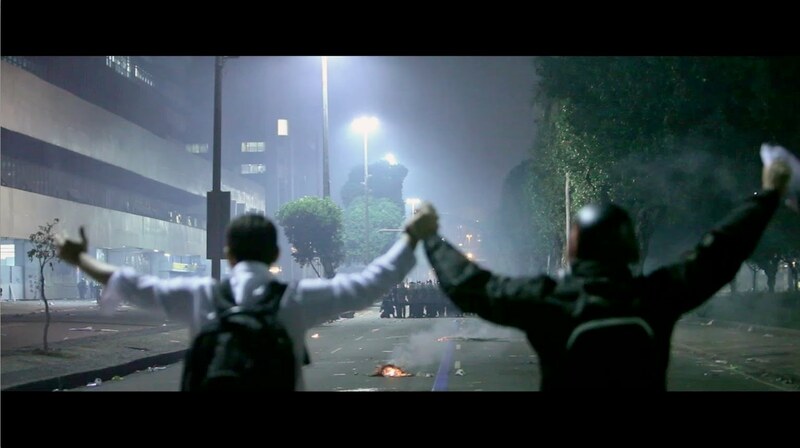 Even though certain pollution-reducing initiatives and public policy goals have been spearheaded by the wealthy and elite, the filmmakers show how these efforts have either been illusory from the start or have been derailed. The cap-and-trade system in particular is rife with abuse, often amounting to little more than the rich trading emissions among themselves with no overall reductions in greenhouse gas pollution. Corporate titans often parrot lines about green energy and clean business practices, but the reality is that any gains thereby achieved are often negated by the wholesale expansions of production in a quest for market share and profits. This Changes Everything shows the stories of assorted individuals and communities around the world who have been adversely affected by the activities of big enterprises. This allows the documentary to explore the human side of climate change, which is often neglected in other similar works that focus their attention on lakes, rivers and animals. Unfortunately, the broad scope of the film combined with its running time of only 90 minutes mean that the final results feel a bit scatter-shot and disjointed. It’s difficult for the viewer to parse how the various stories relate to each other and to the overall theme of the movie. Instead of just concerning itself with the damage caused by multinational businesses, This Changes Everything shows us how to fight back against these soulless entities. Through grassroots campaigns directed by the very people whose livelihoods or homes are threatened, depredations against Mother Nature can be halted. People in India have physically blocked the construction of fossil-fuel-burning plants while ranchers in Montana are defending themselves and their homes against a polluting oil company. Meanwhile, municipalities in Germany are purchasing their electric grids back from private companies. Because large national and international bodies are likely to be co-opted or have their missions subtly shift and morph over time, it is these small-scale, locally directed, authentic movements that are most promising. According to a report from Direct Energy, more than 30 gigatonnes of CO2 were released from the combustion of fossil fuels in 2010, up from less than 15 gigatonnes in 1970. Clearly we must halt and reverse this trend if we would leave succeeding generations a healthy, comfortable planet to live upon. This Changes Everything and other documentaries are important in order to drum up support among ordinary people for combating dangers that could make the Earth uninhabitable or at least a poor place to live. While the scientific case for the reality of climate change is incredibly strong, we need public outreach and entertainment as a way of delivering the news in a way that the average person can easily access. After all, climate change deniers spend a lot of money spreading their version of the facts, so it’s only fair that we raise our voices against them in whatever media are available. If you prefer listening to reading, the piece is based on this speech. The piece discusses on the one hand, the need for utopian thinking in an era of ecological devastation – but also the dangers of environmentalism that can empower those who profit from the exploitation of the planet’s resources. Miéville’s language is a bit verbose, but in a creative rather than technical way so hopefully people will enjoy some of the more bombastic passages. “The stench and blare of poisoned cities, lugubrious underground bunkers, ash landscapes… Worseness is the bad conscience of betterness, dystopias rebukes integral to the utopian tradition. We hanker and warn, our best dreams and our worst standing together against our waking. We thought this reading would be beneficial in as it’s a couple days before the People’s Climate Parade in Christchurch which Fightback is supporting. The need for anti-capitalist analysis of the climate crisis is essential, especially while the vast majority of Enviro orgs rush to court the middle ground – and are unwilling to challenge the structural causes of ecological degradation. Daphne Lawless (Fightback Tamaki Makarau) argues that we need green, sustainable and affordable solutions to the housing problem. But that means more urbanisation, not less. It’s obvious that there is a great shortage of quality, affordable housing in Aotearoa. Or to be more precise, there’s a shortage in those places where people want to live. There are regular stories about houses going on TradeMe for a few hundred dollars, in places like Balclutha or other isolated rural zones. Rural houses are great for people who can support themselves in a rural lifestyle, like farm workers or independent writers or artists. But the facts of life in a modern economy are that most of the economic growth, and therefore new jobs and opportunities, will happen in the cities – Auckland in particular, but Wellington, Christchurch and Hamilton as well. Because Auckland is where I live and expect to raise my family, it’s that town which I will concentrate on in this article. Auckland’s explosive growth to near 1.5 million inhabitants is also exacerbated, not only by its milder climate compared to our other urban centres, but by immigration. New settlers in our country prefer to live near to people who share their culture, hence Auckland’s massively high levels of cultural diversity compared to the rest of the country. Whether Pasifika peoples in Mangere, Chinese in Botany or people from the Indian subcontinent in Sandringham, Auckland’s cultural mosaic gets more complicated and colourful all the time. But Auckland’s expanding population needs somewhere to live. The latest survey shows that the median house price in Auckland has passed $670,000 – almost 15 times the median yearly income. Historically, that ratio has been stable at around 4. So a house in Auckland costs almost 4 times as much as it should. The media blame this on “a shortage of new housing”, mainly blaming Auckland Council’s planning tools, like the Metropolitan Urban Limit – refusing to rezone rural areas bordering the city for new housing. But this is unfair, and pushes a political ideology which is both anti-worker, and anti-green. One of the main problems of neoliberal capitalism is that, when wages are pushed down, workers can’t buy things and the economy slows. One of the solutions – in virtually every advanced country in the world – has been to semi-deliberately create a housing bubble. Loans for buying houses have become cheap and plentiful, pushing up prices. And when house prices go up, those who already own houses (the middle and upper classes) benefit. They can buy cars or go on holidays and “put it on the mortgage”. But even capitalist economics understands what happens when you just pump more money into a market – prices go up overall. The longer the bubble goes on, the less hope for the people at the bottom of the “housing ladder”. A similar thing happens in the rental market with WINZ giving out Accomodation Supplement, a rent subsidy for those on low-to-average incomes. This money just goes to boost the landlord’s profits, and rents rise to match. The housing bubble is therefore just another way of transferring wealth from the property-less to the property-owners. But even our bosses are getting nervous that we could end up in a situation like the United States or Ireland, where after the bubble burst, entire neighbourhoods became vacant after their mortgages were foreclosed on. Hence, the Reserve Bank has recently cut the availability of loans for new home-owners (once again punishing the needy so as to safeguard the gains of the greedy). So what’s a pro-worker, pro-environment solution to the housing crisis? A bursting housing bubble might bring prices down, but would also cause massive economic recession. The right-wing media and the National Government want us to think that the answer is building new housing zones on the fringes of the urban area at “affordable prices”. New fringe suburbs encroach onto fertile farming land. Some of Auckland’s best volcanic soils (such as the market gardens in Avondale) have long since been built over. Pushing development towards Pukekohe would put the food sustainability of the region under severe pressure. New developments require brand new services such as telephone, stormwater and electricity to be built, at a high cost. In New Zealand, new housing areas are generally built without any thought as to public transport – and generally nowhere near workplaces. Not only does this require that everyone who lives there has to own a car, but they have to commute for stupid distances across our already-clogged motorway network, turning expensive fossil fuels into air pollution as they do so. The National Government’s “special housing areas”, such as Hobsonville Point, Flat Bush or Hingaia, are nowhere near the recently upgraded electric train services, and will all need new bus or ferry services to make it possible to live there without a car. This isn’t solving the housing crisis – just opening it up to developers to profit from. The alternative – as many insightful commenters on Auckland’s housing issues have identified, for example, the Generation Zero pressure group – is for Auckland to grow up, not out. That is, new affordable, high-density (flat or apartment) housing should be build in and around the Central City and central suburbs. Amazingly enough, it’s only been legal to build apartments in the Auckland CBD since 1995, and since then its population has grown to 25,000 – and, with a large population of students and creative types, it’s generally a lower-income and more culturally diverse population than the ultra-rich inner ‘burbs like Remuera or Herne Bay. The rich absolutely hate this idea. The working-class population of central Auckland were systematically moved out between the 1950s and 1970s, when “slums” like Freemans Bay and Newton were gutted to build the Central Motorway junction, and surrounding suburbs like Ponsonby or Grey Lynn were gentrified. The old working-men’s cottages of Auckland’s central fringe suburbs can now fetch more than $1 million. The last thing that their privileged current owners want is for the price to be brought down by affordable apartments being built round the corner – or indeed, for working-class (or non-white) people to live in their area at all. They’d much prefer working people out of sight and out of mind, in the far-flung fringes. Which is of course precisely what happened to the inhabitants of “old” Ponsonby – Mangere or Otara were settled by refugees from “slum clearances” and motorway madness around the CBD. Housing and transport are both aspects of the same question, as is access to public services. Auckland’s liberal mayor Len Brown, elected by the working-class outer suburbs over the screams of the Parnell and Newmarket ruling classes, has staked his credibility on the Central Rail Link, an underground railway through the CBD which would greatly increase the efficiency of public transport. Auckland’s inner-suburb privileged class, though, see this as part and parcel of intensified housing, and their representatives on Council have tried to sabotage it at every turn. Making urban life in Auckland more accessible, affordable and vibrant is the last thing that the ultra-exclusive, financially-segregated communities of the city fringe want. Studying the facts, it becomes clear that to improve quality of life in Auckland, to reduce social equalities and make life richer and more affordable for working people, the affordable as well as the green solution is centralisation and intensification combined with much better public transport. However, many who see themselves on the liberal side or even the Left of politics wouldn’t agree. There is absolutely no reason why – excluding the greed of developers and the ignorance of planners – high-density living should become a “slum” nightmare like an English “estate” or a French “cité”. All that is required is people-centred and eco-friendly planning. Attention to green space, sustainable transport links, and integration to the broader culture of the city can prevent affordable housing becoming a shunned slum. Large apartment buildings can even be more environmentally friendly than a traditional, draughty, uninsulated Kiwi single-dweller property – especially in, as has happened in Chicago and other places, they become self-sufficient in energy by installing solar panels on their roofs. The biggest barrier to children being raised in the Auckland CBD is the lack of schools – which could be fixed by a people-centred education policy. Some of them even suggest deliberately letting it run down and become uninhabitable, provoking a Detroit-style exodus to the other centres or the regions. This kind of ruralist or small town mythology makes one remember Karl Marx’s comment about the “idiocy of rural life” – by which he did not mean stupidity, but self-absorbed parochialism. Ecosocialism concentrates on quality of life as well as income for working people. “Agglomeration benefits” – the economic, cultural and environmental benefits of concentrating and enhancing the central areas of large cities – are very real. Although some will always prefer a suburban big back-yard lifestyle, the cultural benefits of living in a teeming, vibrant, culturally rich community should be open to all working people of Aotearoa/New Zealand. This is the future that the “Remuera brigade” (you’d say Thorndon or Fendalton in other cities, I suppose) hate and fear. When they “cleared” Freeman’s Bay and Newton in the 1960s, they told the working-class and Pasifika residents that they’d never miss their old “slums” in their brand new houses in far-away Mangere and Otara. We can see how that turned out – economic apartheid, auto-dependent isolation, and a downward spiralling local economy leading to crime. It’s time to put an end to economic apartheid, and bring working people back into the centre of our urban life and culture – where they belong. 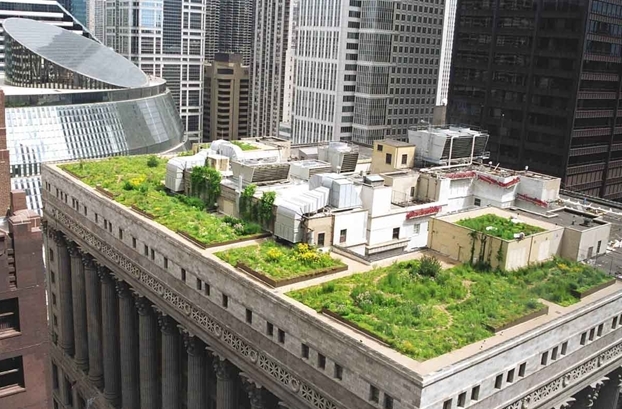 The only way we can all fit sustainably is by growing our cities upwards. A national hui on the state housing crisis will be held in Auckland on February the 21st. Article by Bronwen Beechey (Fightback/MANA Owairaka). The largest demonstration to date against climate change was held in New York City on September 21. The march was part of a global day of action held before a United Nations climate change summit in New York on September 23. Among the estimated 400,000 who attended were indigenous people from the US, Canada and Latin America, students, unions and representatives of communities affected by fracking. The marchers stopped for a moment of silence to honour those who have already died around the world as a result of catastrophes linked to global warming. The entire crowd then erupted in a tremendous roar to literally sound the alarm, accompanied by the 26 marching bands that took part blaring their instruments. It was directed at the heads of state and governments that have repeatedly failed to address the problem. The march was initiated by 350.org and other groups on the activist wing of the environmental movement, but as the momentum grew, more conservative groups like the Sierra Club endorsed the march. The march was also built extensively through social media activist groups such as Avaaz and NZ’s Action Station. One of the groups in the US that initiated the march, and was a central organising force, was System Change Not Climate Change (SCNCC). A coalition of socialist groups and individual radicals, SCNCC targets capitalism as the cause of climate change and advocate socialism as the only long-term solution.. The role played by SCNCC in organising the march and its acceptance as part of the broader environmental movement marks an important step forward. The impact of the recession, the Occupy movement that targeted the wealthy “1%” and implicitly capitalism itself, and the obvious role of big corporations as destroyers of the environment, has made many realise that capitalism is to blame. The day after the march, around 1000 people took part in a sit-in in Wall Street that was explicitly anti-capitalist. The action was called “Flood Wall Street”, referring to the flooding of the area that happened following Hurricane Sandy last year. Around 100 people, including one dressed in a polar bear suit and three in wheelchairs, were arrested after blockading the street for eight hours. Solidarity actions also took place in other cities in the US, and around the world, with an estimated 40,000 in London and 30,000 in Melbourne. In Auckland, several hundred people turned out despite miserable weather and the disappointment of the previous day’s election result. 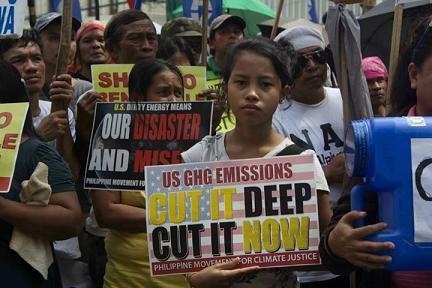 Unsurprisingly, the UN summit produced little in the way of any action on climate change. However, the numbers protesting shows that more and more ordinary people are prepared to act, and that many are recognising that stopping climate change will mean changing the system. 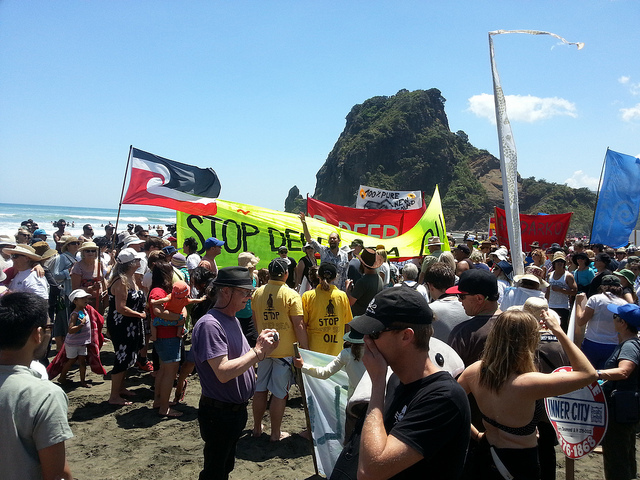 Piha banners on beaches action against deep-sea oil drilling. However, not all socialists are convinced by this, and it would be fair to say that many environmental activists are suspicious of socialism, with some justification. It has become obvious to many that neo-liberal capitalism and environmental destruction go hand in hand. But the mainstream environmental movement, and most Green parties, including NZ’s, are only challenging the worst aspects of capitalism, believing that some form of “greening” capitalism is possible. Ecosocialism has developed as an alternative to the mainstream environmental movement’s emphasis on “greenwashing”, middle-class consumer activism and acceptance of the profit motive. The stakes couldn’t be higher. 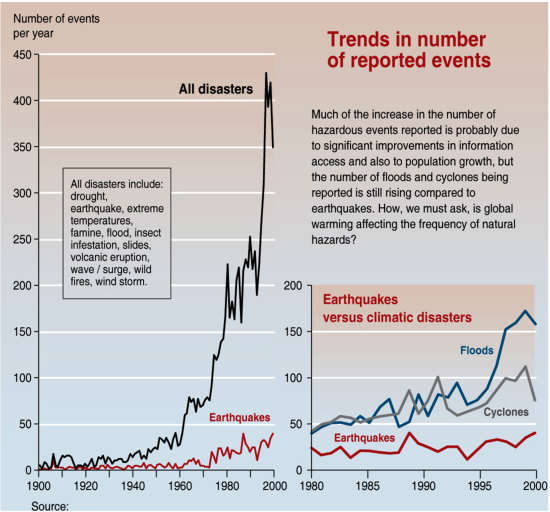 While we bicker, the global environment is in crisis. In the last few weeks, it has been reported that according to two independent studies by climate scientists, the West Antarctic Ice Sheet is losing twice as much ice now as the last time it was surveyed, and its collapse may now be irreversible. It would cause a sea level rise of three metres. This is a climate tipping point – a critical point in the Earth’s system that when crossed, will mean the climate can spiral out of control, beyond the point of no return. This doesn’t mean it is all over. It does mean we have irreversibly and dangerously changed the climate, and that we, and future generations, will live with the consequences. While Karl Marx and his collaborator Frederick Engels are famous for their analysis of capitalism and call for social revolution, they are far less known for their ecological thinking, which held that capitalism inevitably tears apart the natural conditions that sustain life. This can be seen from Engels’ early concern with river pollution and his analysis in The Condition of the English Working Class of how industrial pollution harmed workers, right through to Marx’s writings at the end of his life where he plunged into the study of indigenous societies. Marx’s two most important ecological insights were “the treadmill of production” and “the metabolic rift”. The treadmill of production refers to capital’s impulse to unlimited expansion, its relentless drive to increase profits, regardless of the ecosphere’s natural limits. In nature, there is no such thing as waste. Nature is a circular system where everything is recycled. This is the opposite of capitalism’s linear, treadmill economy, which overloads natural systems with ever-growing amounts of waste products: waste gases into the sky, waste pollutants into water, and waste chemicals and toxins into the soil. The metabolic rift refers to Marx’s theory that capitalist production for profit creates a sharp break in what Marx called the metabolism — the crucial interdependency of nature and human society. Marx arrived at this conclusion from his research into how industrial agriculture tended to reduce fertility, depriving the soil and the workers of nourishment and sustenance. But Marx also understood the concept of the metabolic rift on a global scale, as colonies in the global South had their natural resources and soil fertility plundered to support Western capitalist development — an imperialist project that continues today. Engels, in The Part Played by Labour in the Transition from Ape to Man, said that capitalism helped destroy the natural world because “in relation to nature, as to society, the present mode of production is predominantly concerned only about the immediate, the most tangible result”. Another important concept of Marx’s was that of democratic property rights, the commons. Communities, including indigenous and peasant farmers, have collectively regulated resources including land, forests and fisheries for thousands of years. Under capitalism. these resources were seized for private ownership and exploited for profit, resulting in waste and destruction. However, it is with good reason that French Marxist Michael Lowy has said the “ecological question … poses the major challenge to a renewal of Marxist thought”. Typically, Marxists in the 20th century, even of the anti-Stalinist variety, held to a “productivist” vision of change, whereby increasing the level of the productive forces inherited from capitalism was considered the path to social progress. Technology was wrongly assumed to be class-neutral, rather than historically and socially determined. This history makes the concept of ecosocialism doubly important. Canadian ecosocialist Ian Angus has said that “ecosocialism begins with a critique of its two parents, ecology and Marxism.” It seeks to combine the best insights of ecology, which says human actions can undermine the basis of life, with Marxism’s critique of capitalism — a system based on the dual exploitation of labour and nature. Published in 1962, Rachel Carson’sSilent Spring is often hailed as the inspiration for the contemporary ecology and environmental movement. Carson’s work demonstrated that synthetic pesticides widely used in agriculture could cause cancer and that their agricultural use was a threat to wildlife, particularly to birds. Years after Carson’s death in 1964, the use of DDT and other pesticides was banned in the US. The first Earth Day was held in the US in 1970. Since then, governments and international bodies have been forced to place environmental issues on their agendas. In New Zealand, the modern environmental movement started in the late 1960’s with the campaign to save Lake Manapouri, and continued with successful campaigns against nuclear power and visits by nuclear warships, preventing logging of native forests, and halting the growing of genetically engineered food crops. More recently, there have been campaigns against proposals to open up national parks to mining exploration and against deep sea oil. The New Zealand environmental movement was responsible for the formation of the Values Party, one of the first political parties to campaign on around environmental issues, and later the Green Party. The environmental movement that grew in the late 1960s was part of the radicalisation of young people that included challenged many aspects of capitalism – war, racism, sexism and so on. Many of these activists became part of a growing socialist movement, and these young ecosocialists struggled against the regressive ideas which sometimes emerge in ecological thought. For example, many of the writings that helped spur the early environmental movement, such as The Limits to Growth and the Population Bomb, saw population growth, particularly in underdeveloped countries, as the cause of environmental destruction. This argument has been around since Thomas Malthus published An Essay on the Principles of Population in 1798 and is one of the fundamental points of difference between ecosocialism and other forms of environmentalism. Barry Commoner’s 1971 book, The Closing Circle, was a left-wing rebuttal of populationist arguments, arguing that capitalist technologies, rather than population pressures, were responsible for environmental degradation. In 1979, Australian Marxist Alan Roberts published The Self-Managing Environment, which suggested that consumerism was fuelled by people’s unfulfilled needs. Derek Wall, in an interview in 2011, credits this book as being his first introduction to ecosocialist ideas. A key development in the 1980s was the creation of the journal Capitalism, Nature, Socialism with the first issue in 1988, and still published today. The 1990s saw two socialist feminists, Mary Mellor and Ariel Salleh,address environmental issues within an eco-socialist and feminist framework. Both posited a materialist form of ecofeminism which showed how women’s unpaid reproductive and domestic labour was an essential part of maintaining capitalism, rather than idealist versions of ecofeminism which projected an essentialist view of women as being “closer to nature” due to their role as childbearers. From the 1990s onward, ecosocialists engaged enthusiastically with the growing anti-globalisation movements of the global South, which later spread to the metropolitan centres of the North with mass protests at meetings of the World Trade Organisation, World Bank and IMF. These protests combined ecological awareness and social justice, focusing particularly on the effect of globalisation on the poor and workers. In 2001, Joel Kovel, a social scientist, psychiatrist and former candidate for the US Green Party Presidential nomination in 2000, and Michael Löwy, an anthropologist and member of the Trotskyist Fourth International, released An ecosocialist manifesto, which has been adopted by some organisationsand suggests possible routes for the growth of eco-socialist consciousness. In 2007, the Ecosocialist International Network was founded in Paris. The meeting attracted more than 60 activists from Europe, Latin America, the US, Canada, the UK and Australia. A committee was set up by the Paris conference to draft an ecosocialist declaration, which was signed by more than 400 individuals and organisations from around the world . It was distributed as part of the official launching of the Ecosocialist International Network at the World Social Forum in Belem, Brazil, in 2009. Here in NZ, ecosocialism was first adopted by Socialist Worker New Zealand. In 2009, the SW-NZ central committee collectively signed the Belem Declaration, and set up the Ecosocialism Aotearoa facebook group. In 2010, an issue of SW’s UNITY journal was dedicated to the theme of Ecosocialism, and in 2011 the organisation began the work of establishing a local Ecosocialist Network, just before it dissolved itself in 2012. SW/NZ member Peter de Waal came up with the concept of the “PERIL syndrome”. PERIL here stands for five integrated crises that capitalism faces at the current time: crises of profitability, ecology, resources, imperialism, and legitimacy. This combination of crises suggests that the global capitalist order is now fragile in a way it has not been since the Second World War. Some theorists – like the New Zealand socialist Grant Morgan or the Russian-American Dmitry Orlov – have gone as far as to argue that global capitalism is doomed to collapse within a few decades. However, ecosocialism doesn’t necessarily hold to this apocalyptic scenario. Whether globalised capitalism is sustainable – and what social order or orders might replace it – is a question which has an objective as well as a subjective factor. The crises mean that the global order must change and compensate – but the balance of class forces will determine exactly how that comes about. Building a fightback against capitalism is vital to ensure that the 99% don’t end up paying for the destruction caused by the 1%. I want to finish by looking at the countries where ecosocialism is being put into practice – Bolivia, Venezuela and Cuba. Following the election of Evo Morales to the presidency of Bolivia in 2005, a new constitution was drafted and adopted in 2009. It was the first constitution in the world to include environmental and socialist principles . In 2010, the government of Bolivia hosted the World People’s Conference on Climate Change in the city of Cochabamba. It was attended by around 30,000 people from 6 continents. In December 2010, the Bolivian parliament passed the Law on the Rights of Mother Earth, in which Mother Earth (or Pachamama, in indigenous Andean cultures) is defined as “…the dynamic living system formed by the indivisible community of all life systems and living beings whom are interrelated, interdependent, and complementary, which share a common destiny”; adding that “Mother Earth is considered sacred in the worldview of Indigenous peoples and nations. It is the first piece of legislation in which the Earth is given a legal identity. Speaking at the December 2009 Copenhagen climate summit, the late Hugo Chavez, president of Venezuela, said: “If the climate were one of the biggest capitalist banks, the rich governments would have saved it.” Under the leadership of Chavez, the Venezuelan government took a number of important environmental steps, including the provision at no cost of energy-efficient light bulbs to all households, and using oil revenue to massively expand the rail system in Caracas. Another important green initiative was Misión Arbol, which in 2007 aimed to collect in five years 30 tons of seeds, plant 100 million plants, and reforest 150,000 hectares of land. When I went to Venezuela in 2011 as part of a solidarity tour, we visited a large organic city farm in the centre of Caracas that is situated on the former carpark of the Hilton Hotel. In April this year, Chavez’s successor as president, Nicolas Maduro, announced additional funding of Bs40m (around $A6.75m) for Mission Arbol to continue its work, and a new education program, named amed the “Hugo Chavez National School of Eco-socialist Leaders”, will teach volunteers how to better care for the environment. Food production was transformed to a low-input and environmentally friendly system which included organic farming, urban agriculture and permaculture. Industries that were not energy efficient were dismantled; workers in those industries were moved to other sectors or paid their previous salary to study. In parts of the country energy was produced from bagasse, the biomass left after the processing of sugar cane. Even after the Venezuelan revolution provided Cuba with reasonably priced oil, the commitment to a sustainable energy policy continues. I am not claiming that things are perfect in those countries. But if these small countries, still suffering from the effects of colonialism and exploitation, can achieve these things, imagine what could be achieved in the so-called advanced countries if the same commitment by governments existed. What these countries have in common is a system that puts people and planet before profit. 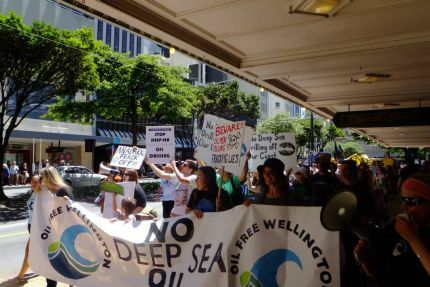 Deep sea drilling: The spirit of Mururoa? By Bronwen Beechey, Fightback (Auckland). In June 1973, the NZ Labour government sent two Navy frigates to the Pacific atoll of Mururoa to formally protest against France’s testing of nuclear weapons in the atmosphere. The Spirit of Peace, the Fri and the Vega, also sailed to Mururoa to observe the tests. Photographs of French sailors boarding the Vega and assaulting its skipper were published around the word. In November of that year, France announced that it would conduct all further nuclear testing underground. Forty years after that partial victory, the Vega sailed to an area 185km from Raglan to protest at deep sea oil drilling in NZ waters. The US oil giant Anadarko had been granted a permit for exploratory drilling in waters up to 1600 metres deep, with an untested drilling ship. The Vega was part of the Oil Free Seas flotilla, which was also protesting the “Anadarko amendment” rushed through parliament last May, which prohibits protesting at sea within 500 metres of an oil rig or drill ship illegal. While five of the six vessels of the Oil Free Seas flotilla stayed outside the 500-metre limit, the Vega remained on the drilling site for seven days. No action to move the Vega was taken. In support of the flotilla, thousands gathered at West Coast beaches with banners expressing opposition to deep sea drilling. In a November poll run by the NZ Herald, a paper with a generally conservative readership, 2803 opposed deep sea drilling compared to 1305 in favour. In a TVNZ online poll conducted in response to the Oil Free Seas protest, 80% supported the flotilla’s actions. But in contrast with the protests at Mururoa, the Oil Free Seas flotilla did not have the support of the Labour Party. Leader David Cunliffe declared that Labour was “not opposed in principle” to offshore oil drilling. The Oil Free Seas protest flotilla left the drilling area on November 26, at the same time as Greenpeace filed papers at the High Court requesting a judicial review of Anadarko’s permit to drill, on the grounds that the company had not released its Emergency Response Plan, or spill modelling showing the possible impact of an oil spill, to NZ’s Environmental Protection Authority. Anadarko only provided a summary version of its discharge management plan and contingency plans to the EPA. The High Court challenge was dismissed on the basis that under the recent Exclusive Economic Zone and Continental Shelf Act, the Environmental Protection Authority is responsible for assessing the environmental impacts of drilling before issuing a marine consent. But the environmental assessment excludes consideration of detailed plans for responding to an oil spill – that responsibility rests with Maritime NZ. Justice Alan Mackenzie found the EPA had applied the new law correctly, as its role was “limited to assessing whether the application contains information about the required matters”, and its decision was “essentially administrative”. Shortly before Christmas, 1800 pages of documents supporting Anadarko’s drilling applications were released under the Official Information Act in response to a request lodged in November by Greenpeace. Among them was Anadarko’s contingency plan in the event of an uncontrollable spill. In this “worst case scenario” where a blowout could not be contained and the drillship would have to be evacuated, it would take at least 35 days to cap the well, as equipment for a capping stack would have to be sourced from Peterhead, Scotland (a service centre for the North Sea oil fields), flown to Singapore for assembly, and then shipped to New Zealand. In the meantime, oil would be spilling into the Tasman Sea at the rate of 12,000 barrels a day. (In a spill model released by Greenpeace last year, the estimate was 10,000 barrels a day. That model was described by Prime Minister John Key as “scaremongering” and by Petroleum Exploration and Production Association CEO David Robinson as “science fiction”.) The contingency plan was approved by Maritime NZ. The oil spill from the cargo ship Rena, which ran aground in the Bay of Plenty in 2011, was the equivalent of 2500 barrels. An inquiry following that disaster, which caused widespread death of wildlife and seriously affected the fishing and tourist industries in the area, found that Maritime NZ’s response was inadequate, largely due to lack of funding, lack of skills and experience and lack of suitable equipment. Government and industry spokespeople have been quick to claim that a spill of the magnitude projected in the documents would be extremely unlikely. But we have seen the results of the 2010 Deepwater Horizon disaster in which vast quantities of oil poured into the Gulf of Mexico for 87 days before the spill was capped. (Anadarko, as a quarter share investor in the well, was found jointly liable and recently agreed to pay BP $5.5 billion as part of the legal settlement). The Deepwater Horizon was drilling in 1500 metres of water, shallower than the proposed drilling site off NZ. The catastrophic effects of the Gulf of Mexico oil spill are still taking their toll on wildlife and residents in the area. But this can be prevented. Opposition to offshore drilling led by Greenpeace and Maori chased Petrobas from NZ waters in 2012. And the campaign against deep sea oil drilling is set to continue. The National government has granted five more exploration permits to Anadarko and other big oil companies, including Shell, to drill for oil and natural gas off Northland, Taranaki, Canterbury and Otago. And, under draft regulations to accompany the EEZ Act, deep-sea drilling will become a “non-notified activity” – meaning that oil companies will be able to undertake deep-sea drilling without notifying the public that it intends to do so or giving the public a chance to scrutinise its plans. If this is adopted, it will have obvious implications for other dangerous activities such as fracking, and for proposed projects such as plans by Canadian company TAG to drill near Mt Taranaki, a site of great significance to Maori. Already opposition is gearing up. On January 10, opponents to the TAG project held a noisy protest outside the company’s New Plymouth offices. A hikoi to Waitangi opposing drilling in Te Reinga Basin is planned for February. An Oil Free Summit held in Dunedin on the weekend of 11-12 January established a “rapid response team” of 260 vessels prepared to take to the waters around Otago to hinder Anadarko’s operations. In the 1970s and 1980s, peace squadrons like this took to the waters to protest against visiting US nuclear warships. They inspired actions on-shore – including political campaigns for local councils to declare themselves nuclear-free, and industrial action by workers. When the USS Truxton sailed into Wellington harbour, seafarers on the Interislander ferries went on strike and wharfies walked off the job to join huge anti-nuclear protests. Even the cleaners at the US Embassy went on strike. A similar mass movement to oppose investment in fossil fuels, call for investments in alternative fuel sources, and defend our democratic rights to protest and to be informed of proposed development, will be needed to counter the government’s drive for profit at the expense of safety and the environment.